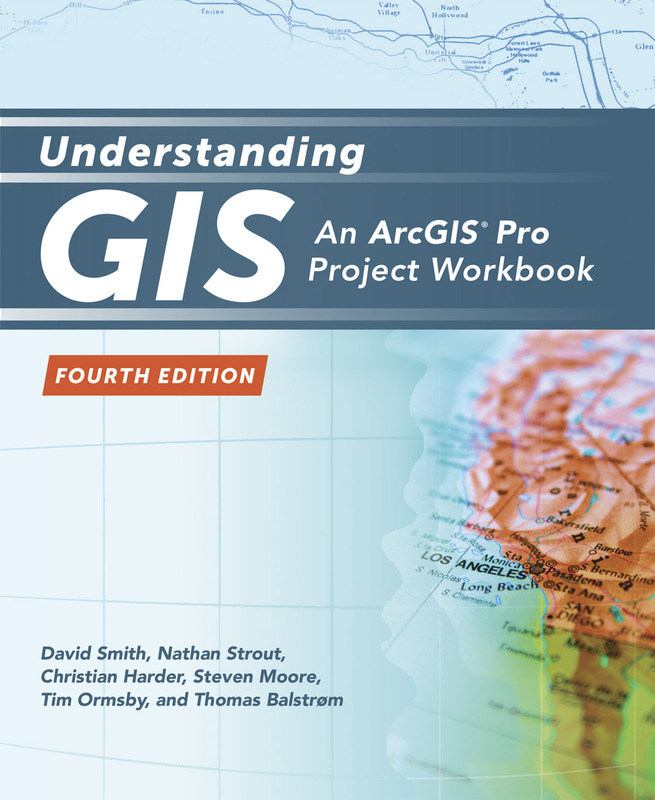 Understanding GIS, Fourth Edition, guides readers through the project workflow. Redlands, California—Esri, the global leader in spatial analytics, today announced the publication of Understanding GIS: An ArcGIS Pro Project Workbook, Fourth Edition. The workbook instructs readers on how to complete a geographic information system (GIS) project from start to finish. The book’s authors include educators at the Center for Spatial Studies at the University of Redlands in California including David Smith, spatial instruction manager; Nathan Strout, director of spatial technology; and Steven Moore, director. Coauthoring the book were Thomas Balstrøm, associate professor of geoinformatics at the Department of Geosciences and Natural Resource Management at the University of Copenhagen, Denmark; Christian Harder, a technology writer and information designer at Esri; and Tim Ormsby, a technical writer at Esri.